Use of the blind rivet nut is an excellent choice for use in mid to high-volume applications where the use of loose nuts and bolts would be cumbersome and labor intensive. JHP Fasteners offers an extensive variety of the small flange, knurled body, thin wall rivet nut. We carry thread sizes and material compositions that will satisfy virtually any industrial or commercial application. These industrial fasteners are available from JHP fasteners at competitive pricing. Available styles: Available in a closed-end design. 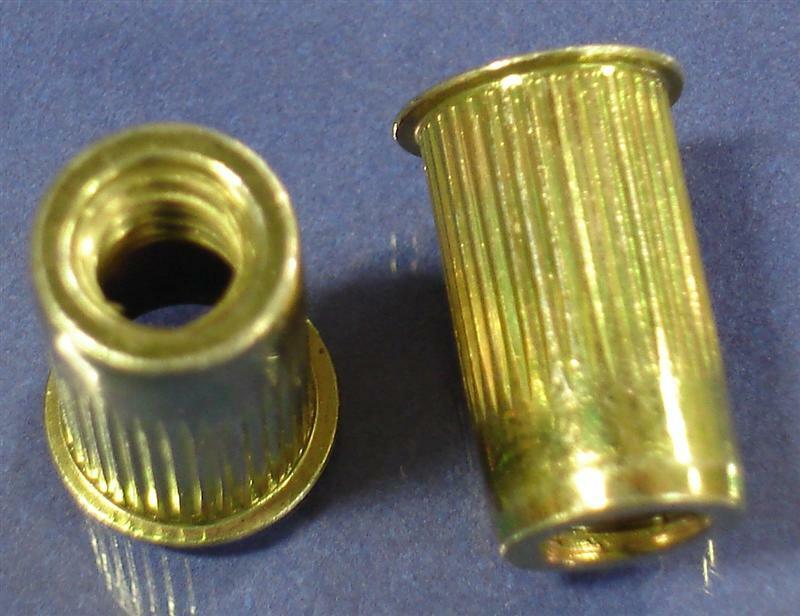 The grip range of these blind rivet nuts can be affected by the type of sheet material being used. It is recommended that a few test installations be conducted to determine the appropriate grip range for your specific application. Installation of the small flange, knurled body, rivet nut is accomplished via application of a steady parallel squeezing force. The installation process can be manual or automated. The closed-end of the nut seals the back end of the nut and provides a barrier against external contaminants. With 40 years of industry experience, JHP has provided expert guidance in virtually all known applications of industrial fasteners. We have the ability to provide consultation that will facilitate your ability to select the type of fastener that will provide the best overall value for your dollar. Once you make your selection, you will receive a competitive price and rapid delivery.